What with summer in full swing (let's not mention all those rain clouds and the low temperatures), there's never been a better time to invest in a few beautification products to ensure your body is ready for that eventual nice weather. And it just so happens that UK retailer Superdrug is having a huge summer sale on those all important health and beauty electronics, so we've collected together some of the best devices just waiting to jump in your online basket. So let's kick things off with a huge selection of deals in this awesome Superdrug summer sale. There are beard trimmers, scalp clippers and electric shavers from some of the biggest brands, including Remington, Philips and Wahl. Why not try out the Philips Hairclipper Series 7000, with its 1-click total precision system for only £59.99, or the easy-to-use Remington QuickCut Clipper (now only £34.99). Elsewhere, there's the brilliant Philips Click&Style shaver & beard trimmer (half-price and £49.99) and the extra versatile Wahl 14 in 1 Chromium Multi Groomer for an impressive £19.99. Superdrug is having a huge sale on Braun products, which includes the firm's diverse range of Braun For Women epilators. The Braun Silk range includes both versions of the Silk 9, including the Wet and Dry (which can keep you skin smooth for up to four weeks) for £94.99 (down from £149.99) and the Epil 9 (with its innovative sonic exfoliation brush) for £109.99 (down from a whopping £179.99). If you're boasting some impressive facial hair, you're going to need the very best shavers and grooming devices to ensure your face fuzz is on point. 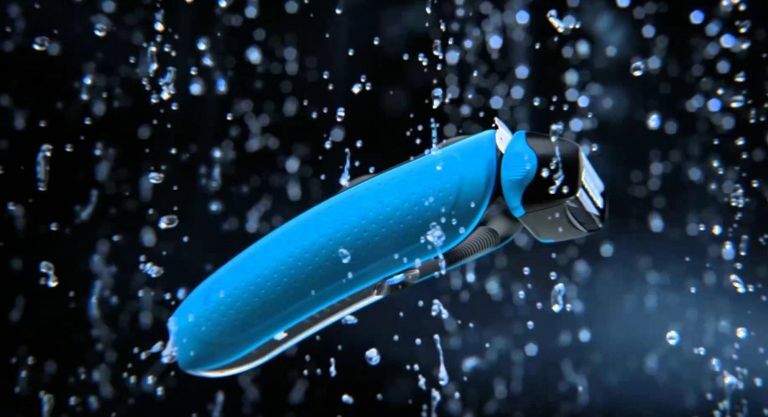 Thankfully, Superdrug has slashed prices on tons of male groomers, including the waterproof Braun Waterflex Blue Shaver (now only £79.99), the robust Braun Series 3 3010 Wet & Dry Electric Foil Shaver (£44.99), the versatile Braun Male Grooming Series 7 790-3 1 3 Shaver (£199.99) and the travel-friendly Braun Precision Trimmer (£9.99). Using a technology normally found in high-end hairdressers, the Philipers Lumea Advanced IPL uses pulses of concentrated light to subdue hairs back into a resting phase (so they'll fall out no longer after and take a lot longer to grow back). They're much more reliable than regular epilators, but usually a great deal more expensive. Luckily, Superdrug is offering a whole £50 off its RRP, so you can have your very own for only £335! Along with all those big name brands, Superdrug also offers its own range of health and beauty products - including tongs, straighteners and hair dryers. The Superdrug Ceramic Hair Straighteners are only £9.99 (down from £11.99) offers a slim-line design, while the Superdrug Mini Hair Straighteners (also £9.99) brings the same quality build in a compact form factor. Talking of travel, the Superdrug Travel Hairdryer is also £9.99, as are the Superdrug Curling Tongs. BaByliss remains one of the most trusted brands in the electronic health and beauty world, so why not upgrade your home hair care setup with these great products. There's the BaByliss Vintage Glamour Ceramic Smooth 230 Straightener (with two temperature settings for only £24.99), the BaByliss Vintage Glamour Salon Light 2100 AC Dryer (for only £26.99) and the BaByliss Vintage Glamour Wave Maker (£10 off as £19.99).